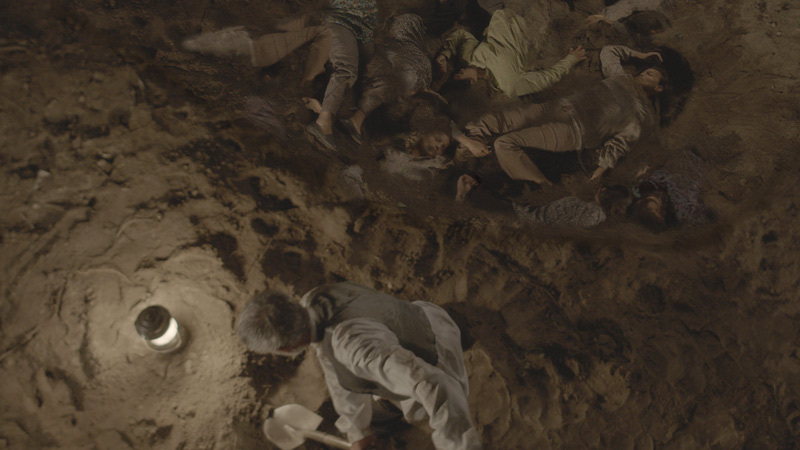 Footage of a mass grave. Camera makes a full spin and 45 degree tumble around the grave exposing the depth. So I created a 3D point cloud from the track, converted to polygons, retopologized, projection mapped, added bodies in ZBrush. Took that mesh back into Nuke and a dirt layer to the texture that i could paint and animate.